Those of you know that know me, you know I love celebrating holidays and I enjoying entertaining and hosting. The 4th of July is one of my favorite summer holidays! It’s the celebration of the day the thirteen colonies claimed their independence from England, an event which eventually led to the formation of the United States. Americans typically celebrate the 4th of July barbecuing, spending times with friends and family and fireworks. 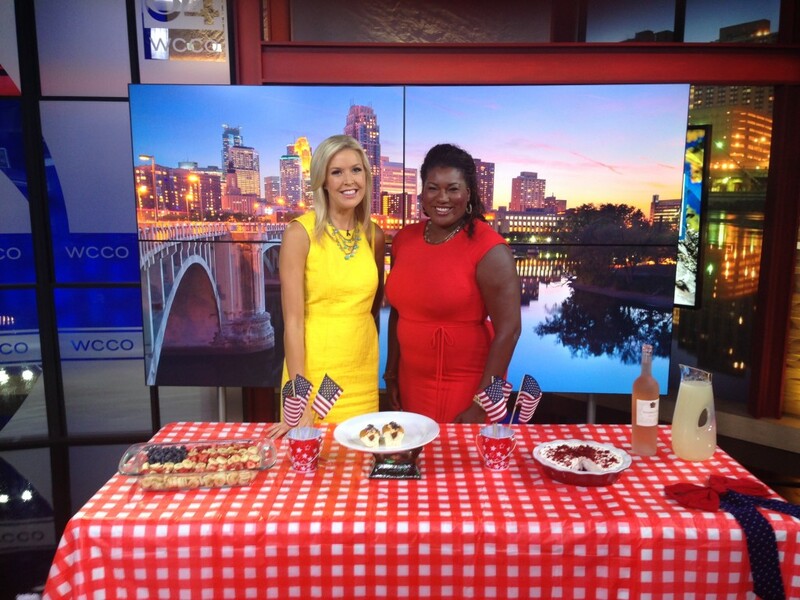 This past Saturday I discussed “Festive 4th of July Snacks” on WCCO Saturday Morning. 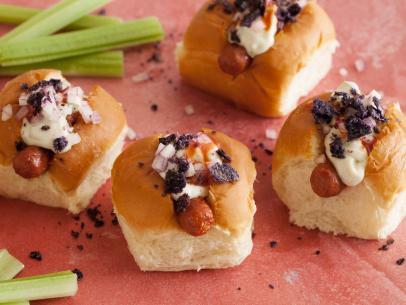 All of the recipes were SUPER easy (TRUST ME, if I can make them anyone can ) but they’ll add a WOW factor to your 4th of July BBQ or Potluck this weekend! Make a 6 x 6 blueberry square at upper right hand corner of flag. To the right, place a row of strawberries , followed by a row of bananas. A row of strawberries should line up with the top of the blueberries to complete the flag. Serve with ice cream, whipped cream, or a sprinkle of fresh mint if desired. Directions:Scrape off and discard the frosting from the cupcakes; crumble the cupcakes into crumbs. Press all but 1/4 cup crumbs into the bottom and up the sides of a 9-inch deep-dish pie plate. Freeze 30 minutes.Meanwhile, let the ice cream and sorbet soften at room temperature, about 15 minutes. Spread the ice cream evenly over the crust using an offset spatula or rubber spatula; spread the sorbet on top. (Return the pie to the freezer between layers if the ice cream gets too soft.) Freeze while you make the whipped cream.Beat the heavy cream and confectioners’ sugar in a large bowl with a mixer on medium-high speed until soft peaks form, about 3 minutes. 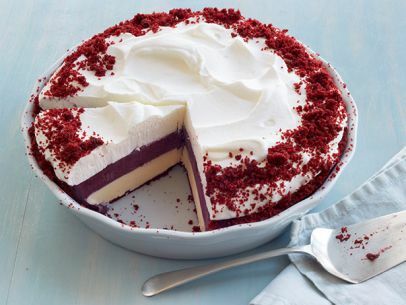 Top the pie with the whipped cream and sprinkle the reserved cupcake crumbs around the edge. Freeze until firm, at least 4 hours or overnight. Recipe from www.foodnetwork.comHope you enjoy these recipes. I’ll be posting a few festive low calories beverage options later this week!